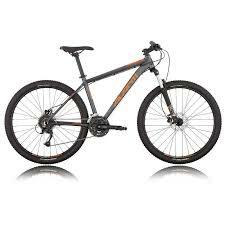 Avanti Montari 7.3 are a versatile high quality hard-tail MTB that suits all terrain. 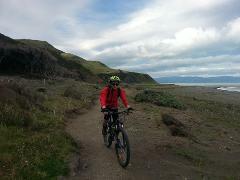 We chose these as the best bike for cruising around the Rimutaka Cycle Trail or attacking a bit of local single track. They perform well on the road too. Ride free on an electric assist bike! Explore our gorgeous countryside and coast, with less than half the effort! Depart Wellington for an easy day ride with an adventurous edge. Suitable most levels of rider experience. 17- 40 km (your choice!) of riding on the Remutaka (Rimutaka)Rail Trail, a great ride of New Zealand. A fully guided day ride with an adventurous edge to suit most levels of rider experience. 17- 35 km (depends how you choose to do it) of riding on the Remutaka (Rimutaka) Rail Trail. For the super fit, get on your bike and ride baby, ride! Maymourn to Orongorongo (80 km) in a day. A short Remutaka (Rimutaka) Cycle Trail adventure for those who are not confident to take on the more technical wild south coast section. Add an extra day in Martinborough with a guided Wine and Vine Tour to complete the experience! Complete the full Remutaka (Rimutaka) Cycle Trail over two days. Achievable for fitter cyclists, you'll cover about 60 km each day. This is for those who are after a short but achievable adventure. Another unforgettable experience following river trails, gentle mountain paths and lakeside roads, finishing with rugged coastlines and seal colonies. Ride the Remutaka Cycle trail independently with bags being transferred point to point. Explore the Remutaka Cycle Trail, fully supported. River trails, gentle mountain paths, finishing with rugged coastlines and seal colonies. Includes shuttles, gourmet food & snacks. Add an extra day in Martinborough! Three days and two nights of easy going adventure riding with a splash of wine! This ride takes in the Best of the Remutaka (Rimutaka) Cycle Trail and the boutique Martinborough Wine Region. An easy day ride with an adventurous edge. Suitable most levels of rider experience. 17- 40 km (your choice!) of riding on the Remutaka (Rimutaka)Rail Trail, a great ride of New Zealand. A longer day ride with an adventurous edge. Suitable most levels of rider experience. 40 - 60 km (your choice!) of mostly downhill riding on the Remutaka (Rimutaka)Rail Trail and Hutt River Trail, a great ride of New Zealand.